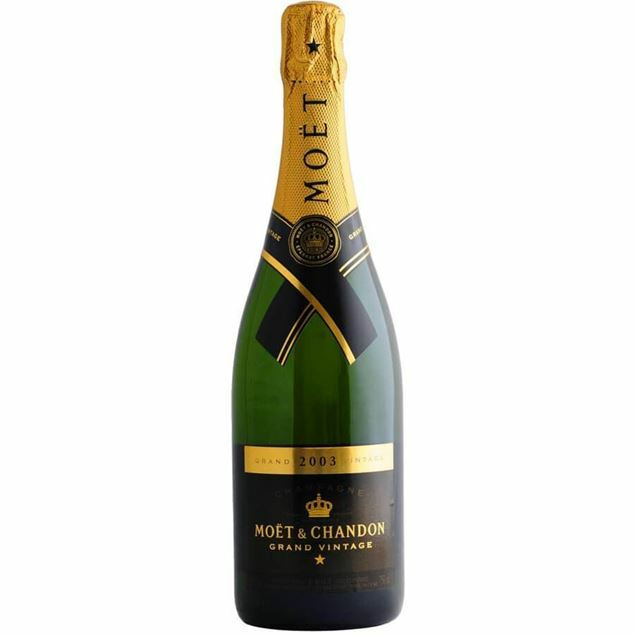 Texture isdeliciously creamy and the palate has great depth and impact with a long and silky finish. 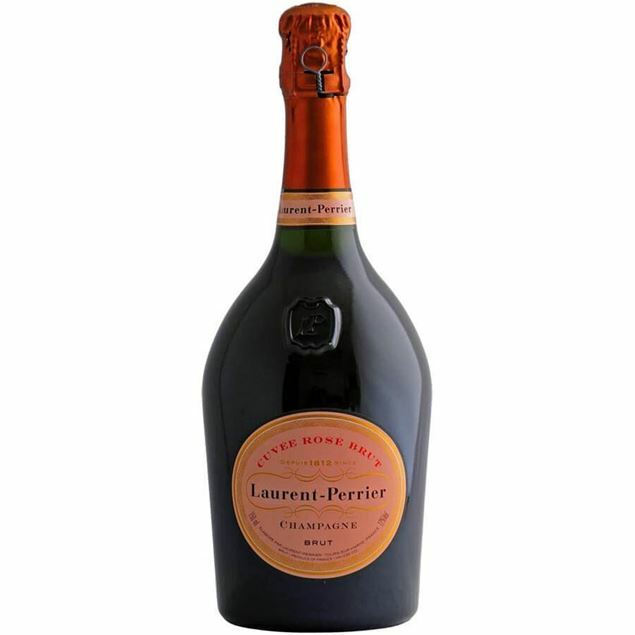 a superb and singular example of a prestige champagne. 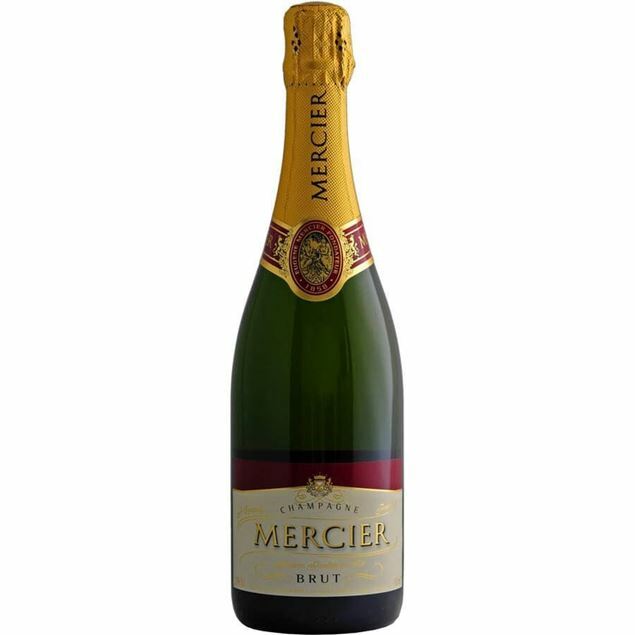 The three varieties of grapes gathered in this blend are: the pinot noir (40%), pinot meunier (40%) which give its personality, and chardonnay (20%) which gives it daintiness. 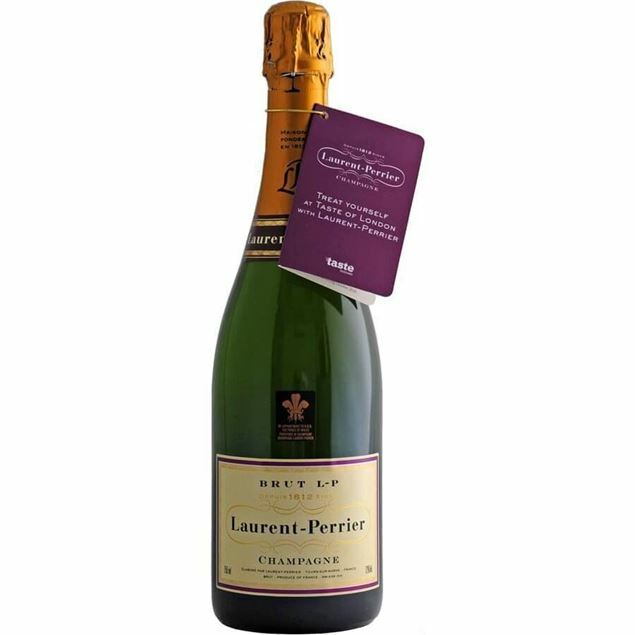 this well-balanced champagne is ideal for aperitifs and cocktails. No dosage, all stainless fermentation, 4 years on lees and 6 years age in total. 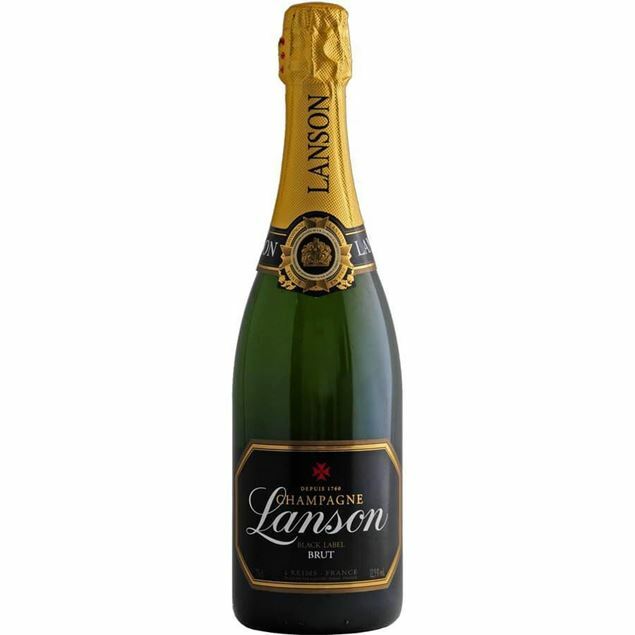 floral and yeast notes on the nose, give way to crisp fruit flavours of citris and apple. 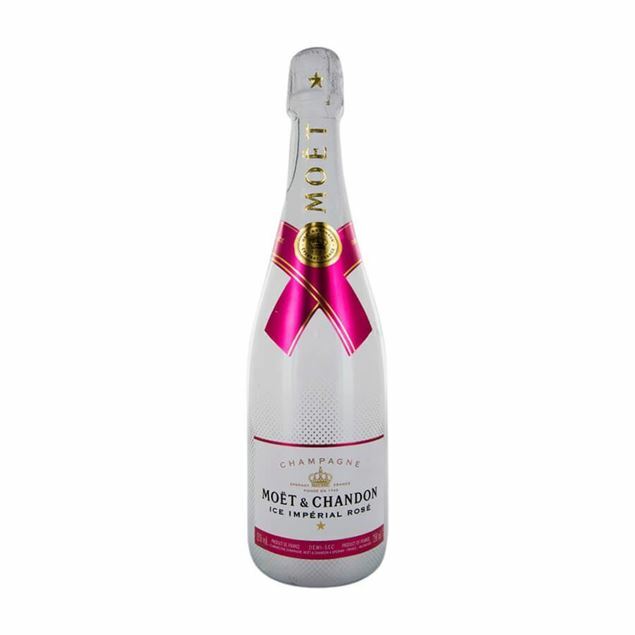 A fresh and fruity wine, brimming with watermelon, strawberry and citris notes. 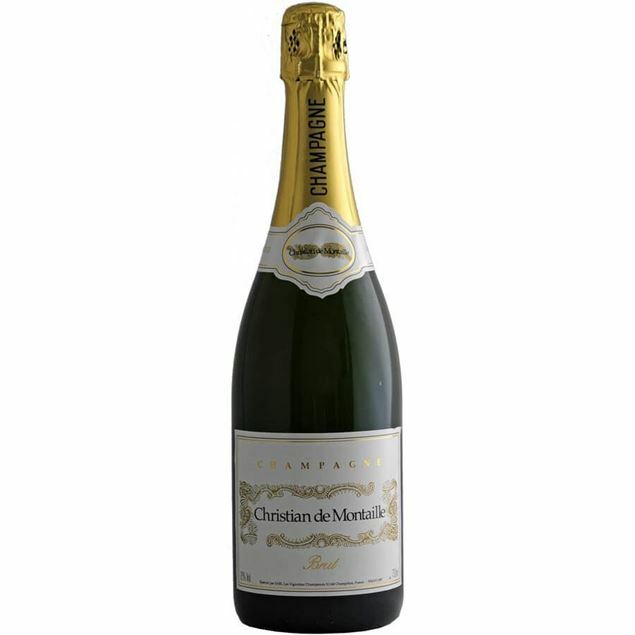 the vibrant structure and delicate mousse keep this focused and lively, with a long, crisp finish. 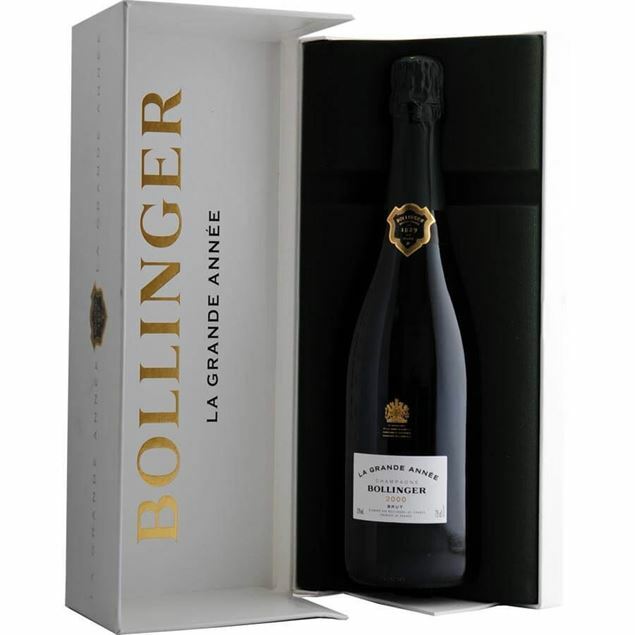 Bollinger la grande annee is much more than a simple vintage. it is the interpretation of an outstanding grape harvest, which resuLtred in a wine worthy of continuing the tradition of the maison’s prestigious great vintages. during these special years, grapes from grands and premiers crus are vinified and the blend reveals a beautiful harmony that embodies the intuition feLtr at the moment of the grape harvest. 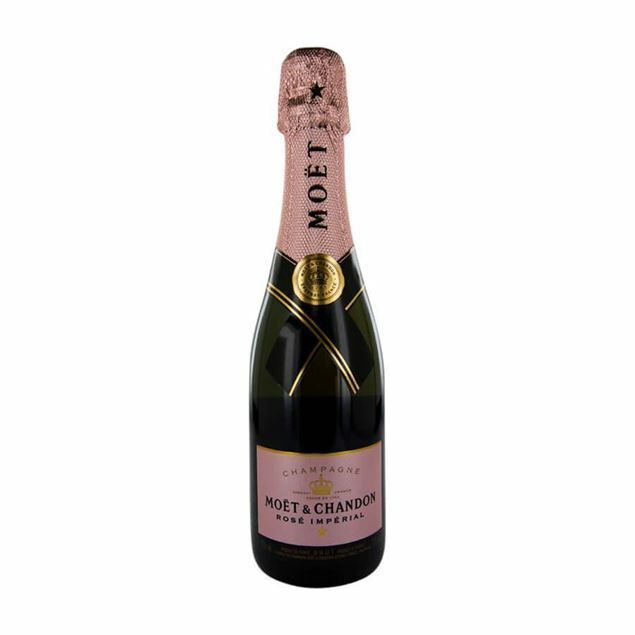 This brightgold champagne with fine bubbles, which is a subtle blend of pinot noir and pinot meunier presents a great complexity. 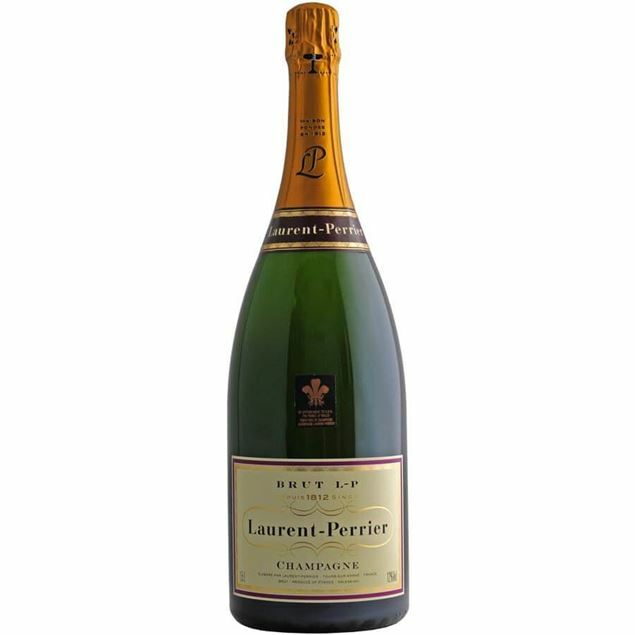 young and fresh champagne with fruity aromas. 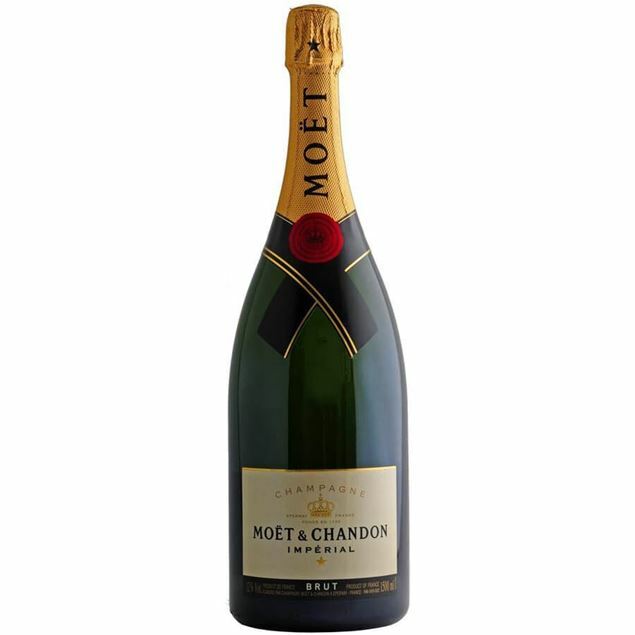 Thanks to the chardonnay's grape, this champagne expresses entirely its freshness and its brightness. The pinot noir asserts the character of this blend and gives it roundness and hints of fresh fruits aromas. Nose the first hints of fresh almond and harvest aromas immediately open up into preserved lemon and dried fruits, the whole rounded off by darker smoky and toasted qualities. palate the presence of the wine on the palate is immediately captivating. paradoxically concentrated yet creamy, it is energetic and warm in the mouth, focusing on the fruit, then gradually taking on more profound bass notes. the whole holds its note perfectly, intensively, with just a subtle, elegant hint of underlying bitterness. 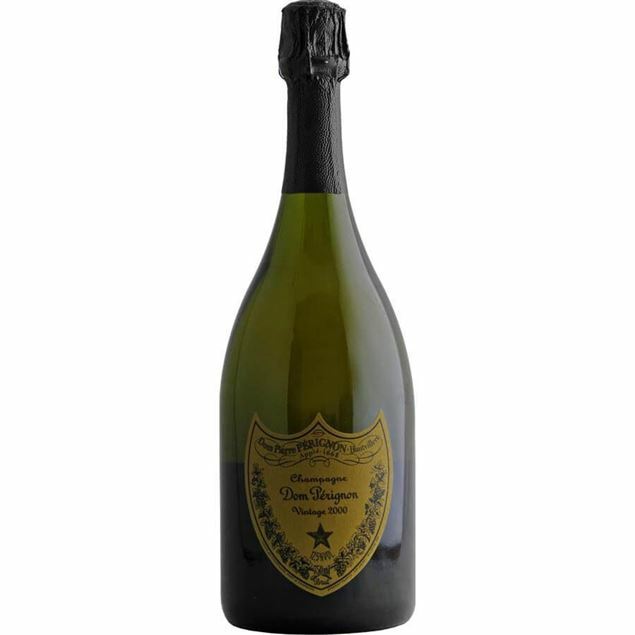 The 1996 dom perignon oenotheque offers up layers of pastry, lemon, smoke and toastiness. 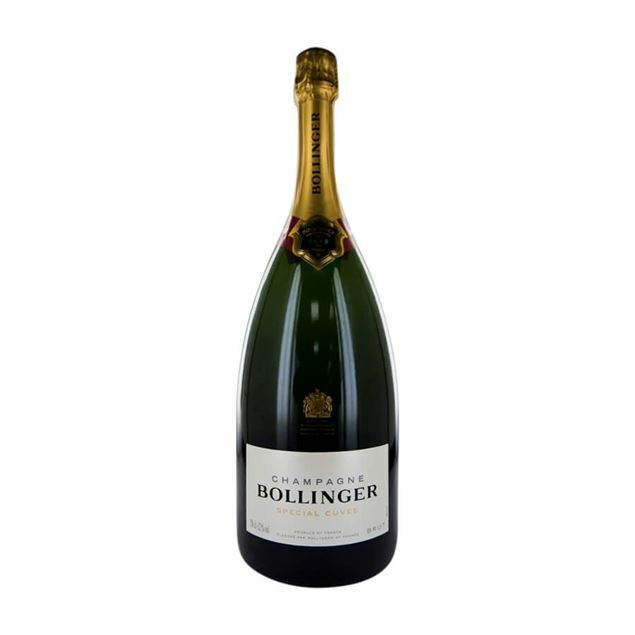 at first deceptively understated, the wine turns positively explosive and layered on the palate, showing remarkable tension, elegance and power, all wrapped around a seriously intense frame. the balance between fruit and acidity is awesome. 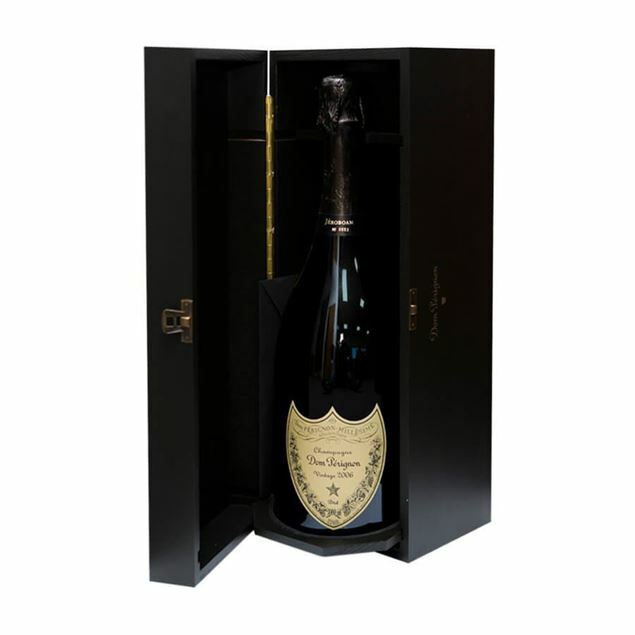 this is a marvelous dom perignon oenotheque. The year 2003 was warm, with cooler-than-average temperatures in the month of july and frequent storms that brought significant amounts of rain and hail. the initial tastings revealed that the chardonnay grapes harvested were supple, ample and complex; the pinot noir harvest was structured and offered great length. 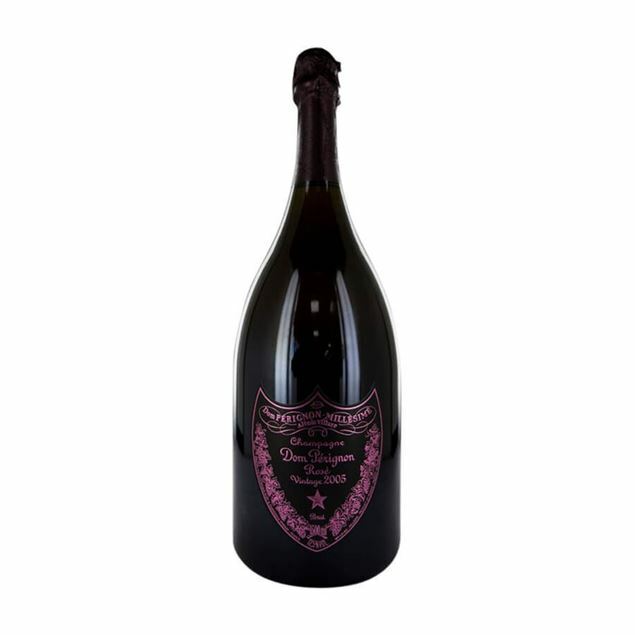 in contrast to prior vintages, a qualitative homogeneity was found in the two grape varieties harvested, conferring on dom pérignon rosé vintage 2003 its well-defined classical balance. Dom pérignon rosé is the third expression of dom pérignon's unique style. a delicate balancing act, this is not simply the rosé version of dom pérignon blanc, but rather a crown jewel of dom pérignon – impetuous yet tamed. 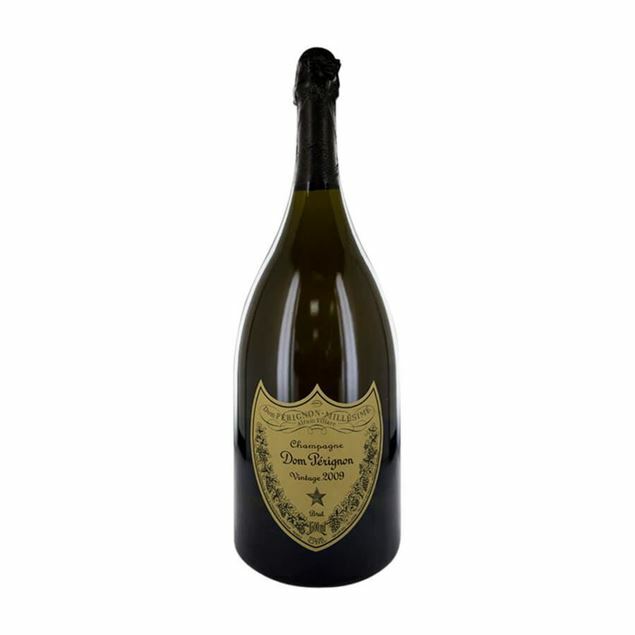 it embodies the vivacity and vibrancy of pinot noir while retaining the balance essential to the dom pérignon style. 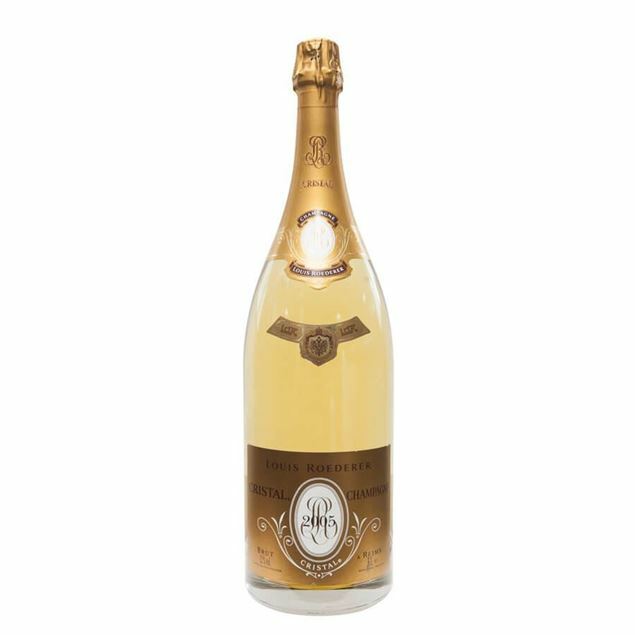 Beautifully balanced and refined in texture, this displays exotic ground spice and floral accents to the flavors of poached white peach, meyer lemon and candied ginger, with hints of pastry and honey. 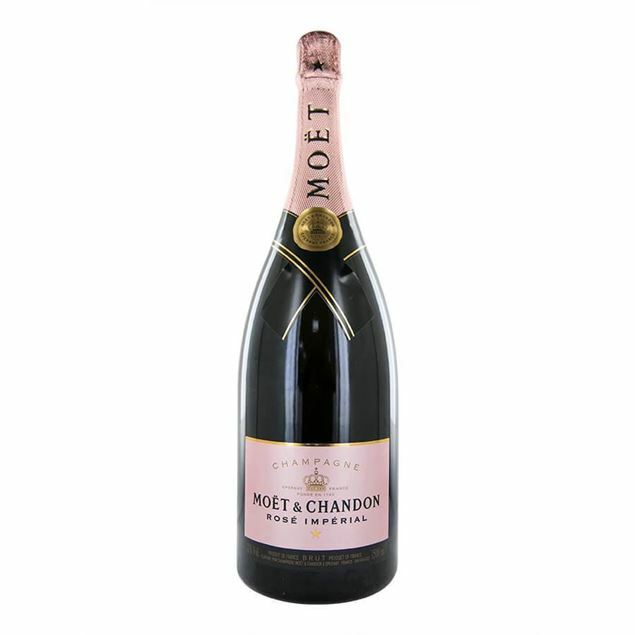 Offers a lasting, mouthwatering finish. 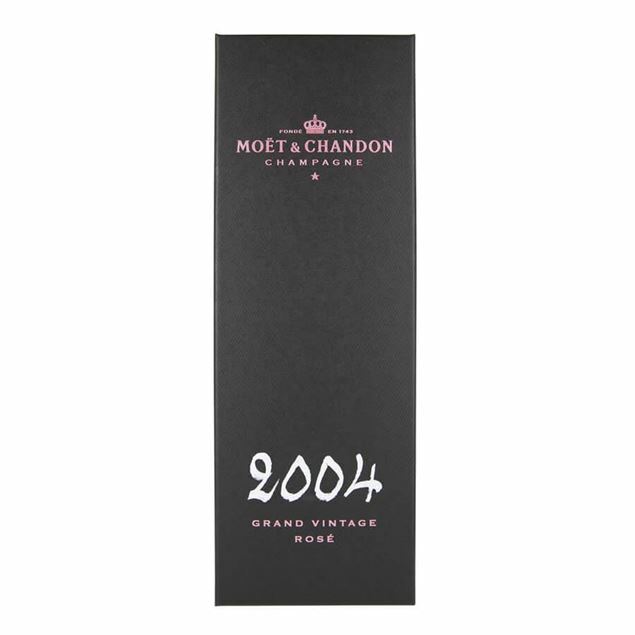 The richness of the 2002 vintage boasts exceptional breadth and volume on the palate. It offers a fine fruity, floral and spicy aromatic range. The chardonnay emerges simuLtraneously as round, precise and subtle. The finish, attractively structured with restrained power, allows the pinot noir to shine. Recalling g.h. 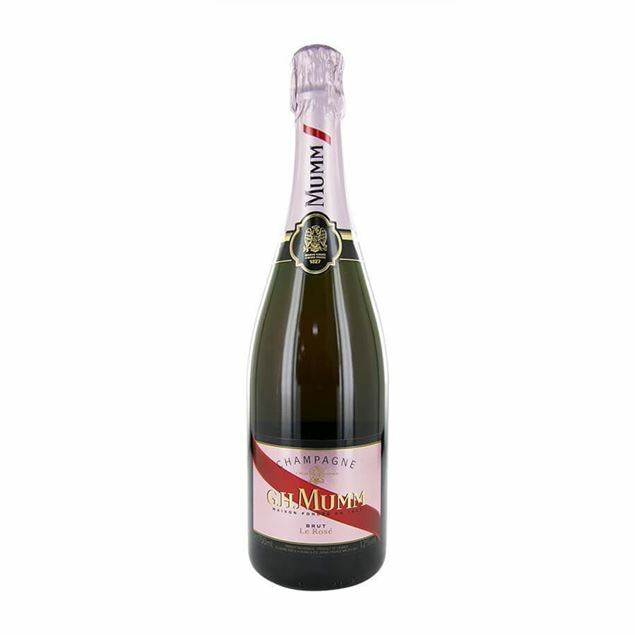 mumm's cordon rouge, the house's non vintage brut rosé is blended with 12 to 14 percent pinot noir from villages such as bouzy, verzenay and ambonnay. 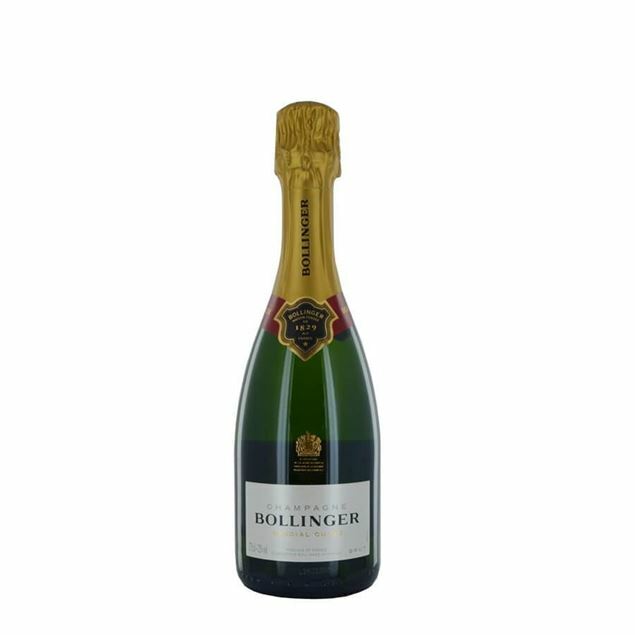 on the nose, it offers red currant and rhubarb aromas. in the mouth, mild cherry and spice flavors are balanced by a creamy mouthfeel. Deep straw colour with pale gold overtones. 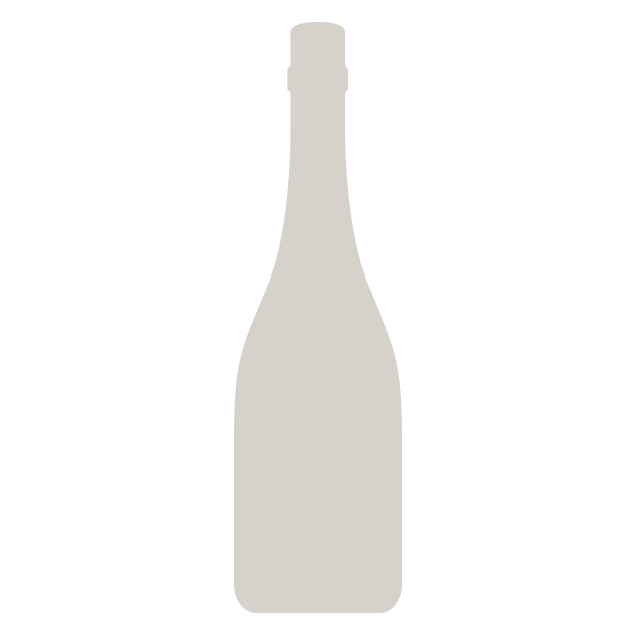 very fine persistent bead. 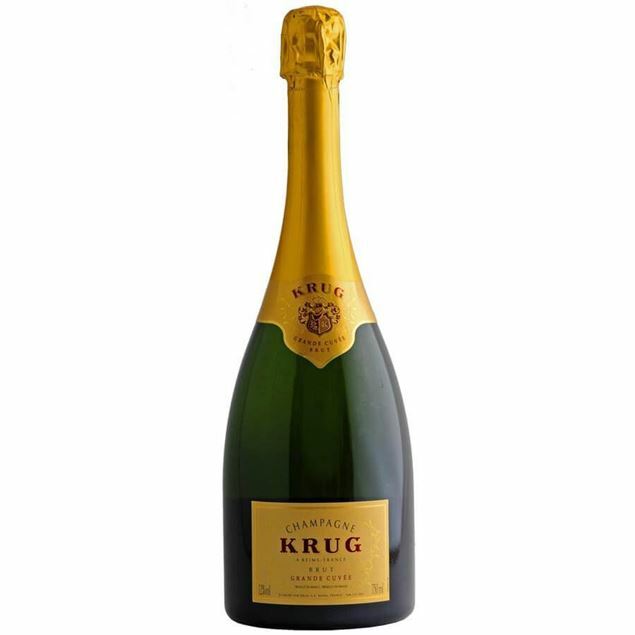 the nose has that classic krug juxtaposition of power and elegance. 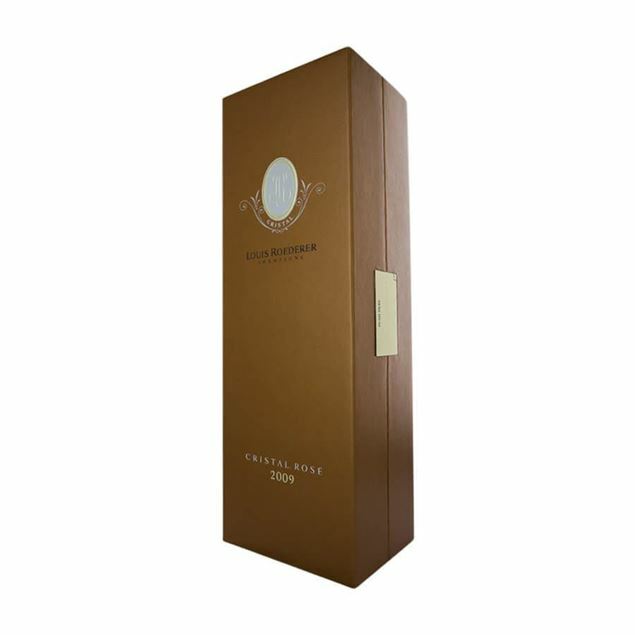 very pronounced nose, with complex aromas of yeast autoylsis, arrowroot biscuit and hazelnut. 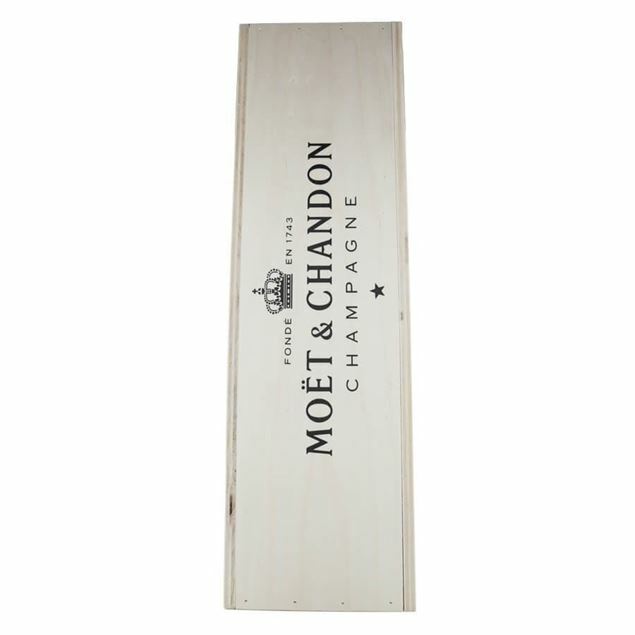 the palate displays sublime elegance, with great length and persistence. the biscuit yeast flavours are over-laid by nuances of roast almond and just the faintest hint of grapefruit. 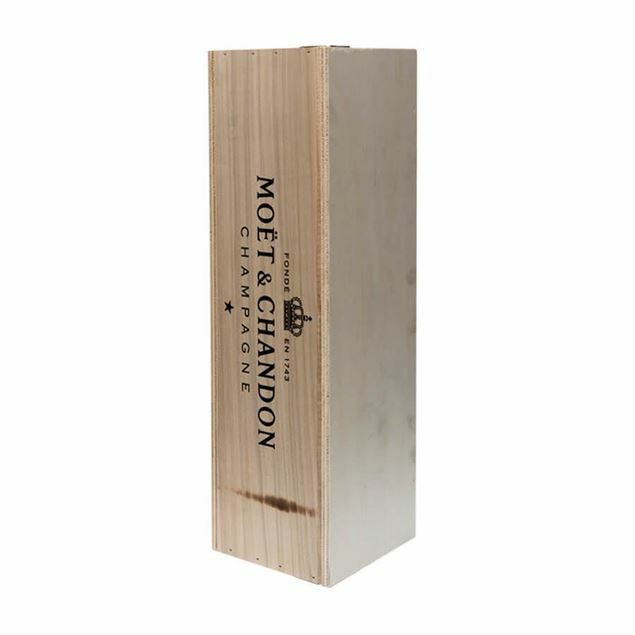 perfect balance, with exceptionally long aftertaste. 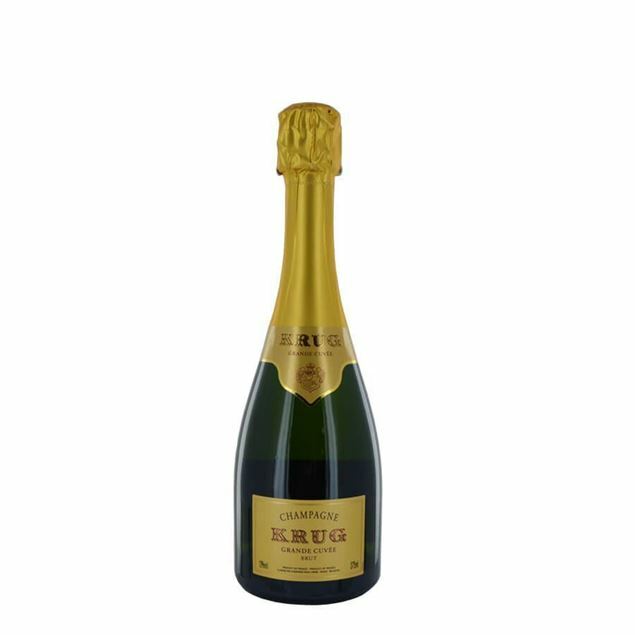 Krug rosé750ml is the only prestige champagne rosé blended from a rich palette of wines from three grape varieties from some different years, combined with a very expressive skin-fermented pinot noir wine, which provides unparalleled colour, wild fruit and spiciness. 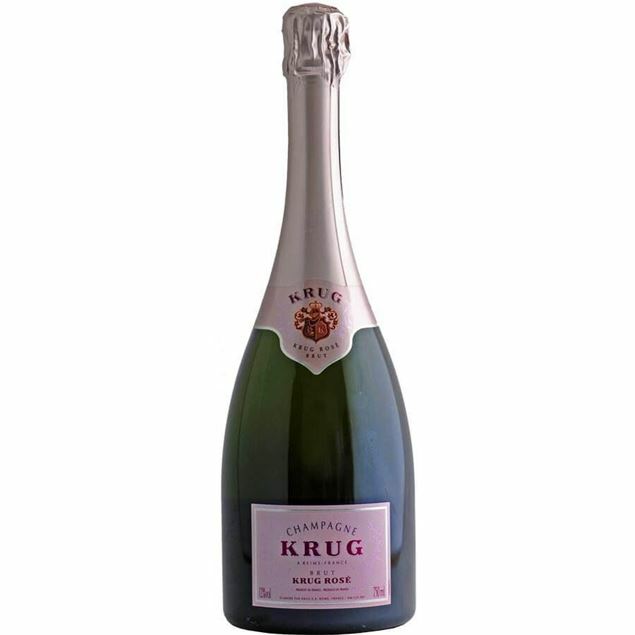 a stay of at least five years in the cellars offers krug rosé its very subtle bubbles, long ending and impressive elegance. 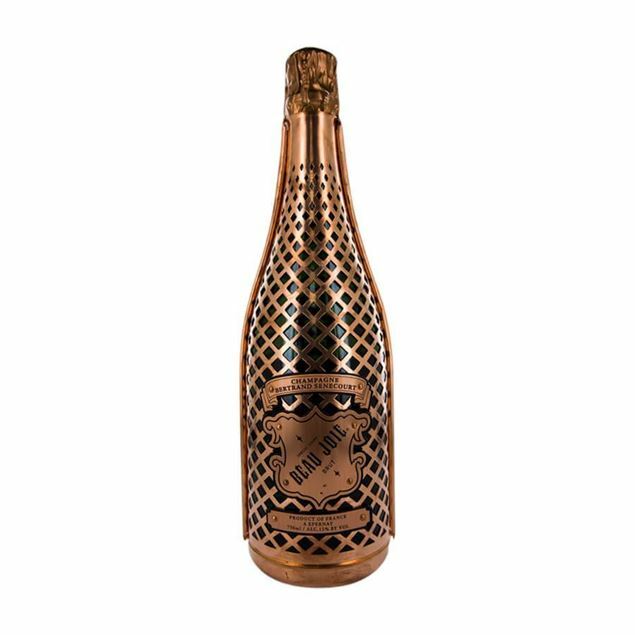 krug rosé is the first prestige rosé champagne to be re-created every year. it is a reinvented rosé universe by krug based on elegance and sensuality while having an overwhelming capacity to pairing with tasty food. 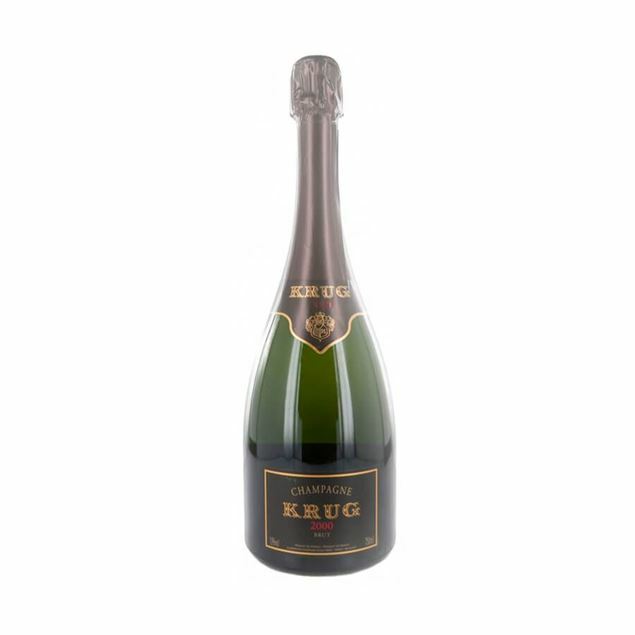 krug rosé, like all krug champagnes, can age beautifully. Very aromatic, with lots of rose water, pickled ginger, ground coffee and cardamom accents on the nose and finely textured palate. the flavors of ripe black cherry, grapefruit granita, piecrust, fleur de sel and spun honey are enlivened by well-honed acidity, creating a mouthwatering impression on the lightly chalky finish. 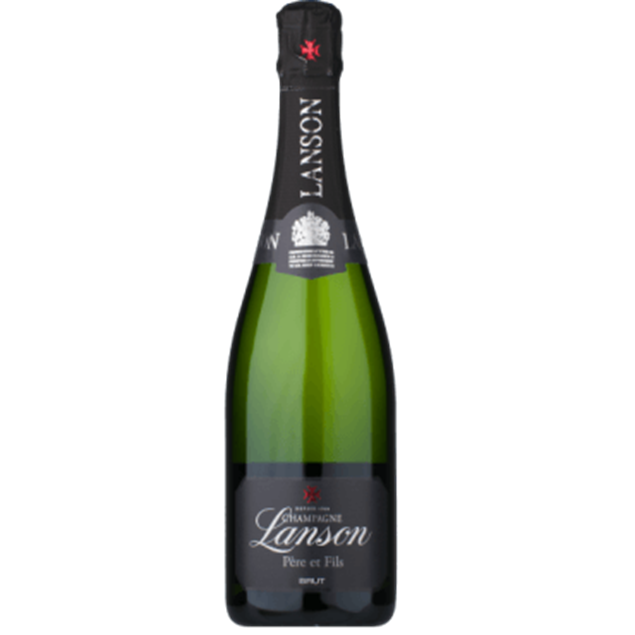 Lanson black label can be enjoyed any time of day or night, and can be served during meals with a starter or fish. A magnificent, bright golden colour, animated by tiny bubbles. 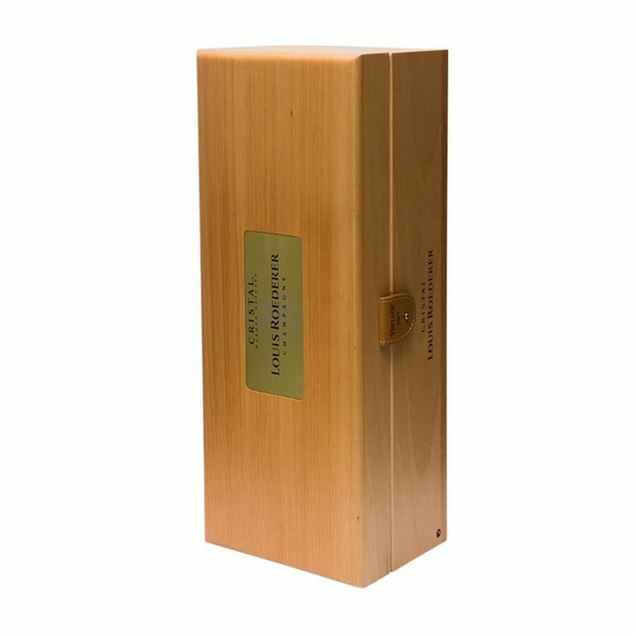 the nose reveals aromas of ripe fruits, honey and spices. 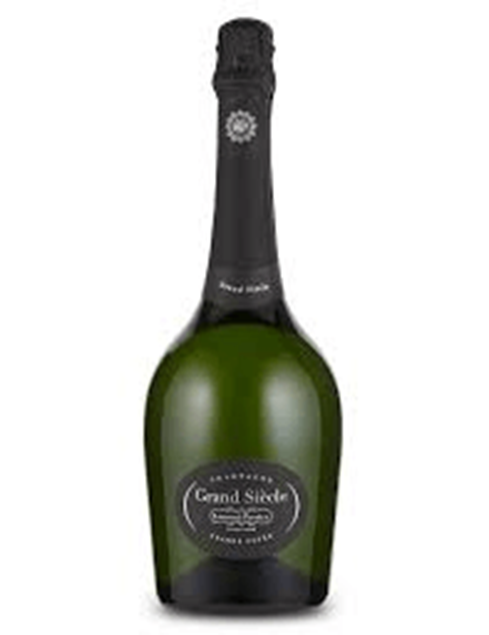 on the palate, this blend offers a complex, full and persistent impact with honeydew flavours. 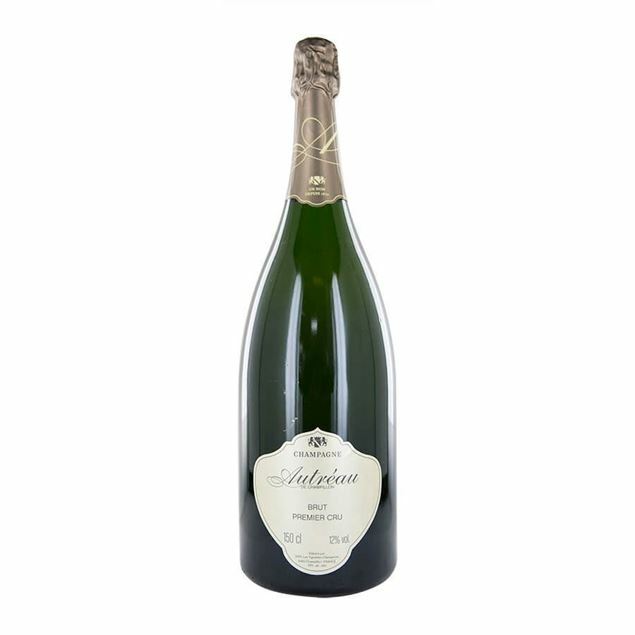 Chardonnay-dominant, the blend is made from the most prestigious growths in champagne and is bottle-aged in our cellars for a minimum of seven years. 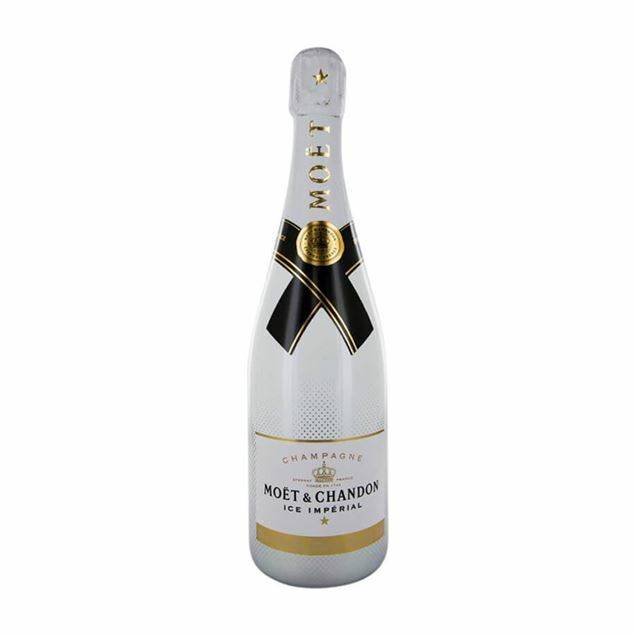 the resuLtr is a rich and rounded champagne with a silky finish. A delicate, pale salmon pink with persistent, very fine beading, forming a pretty ring of bubbles. complex, with hints of wild strawberries and redcurrant preserve, followed by notes of candied citrus. with its elegant finesse, alexandra shows great minerality. its soft, dry texture leads into a long finish reminiscent of berry fruit. With its intense fruity aromas, extraordinary depth and freshness, and delicious red berry flavours, this outstanding cuvée in its iconic bottle is the benchmark rosé. 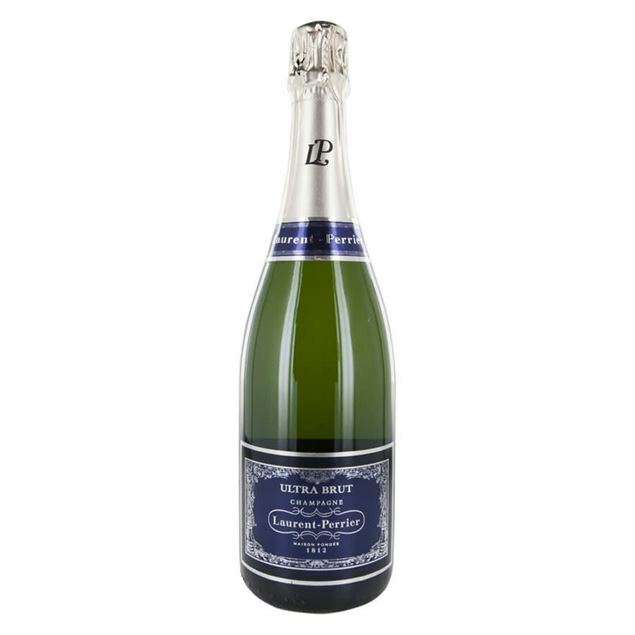 Vibrant and mouthwatering, this offers a range of patisserie pear and apple fruit, candied lemon zest, pastry dough and marzipan notes set on a finely detailed texture, which imparts a great deal of finesse. A salmon pink hue, with radiant highlights and incredible youth. 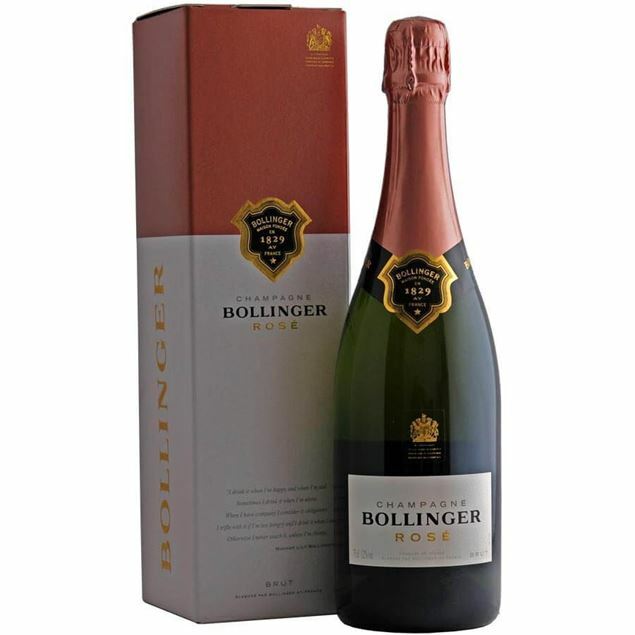 a regular, refined and lively effervescence. an intense, rich, bewitching bouquet of red fruit and citrus zest associated with more complex notes redolent of cedar and spring sap. 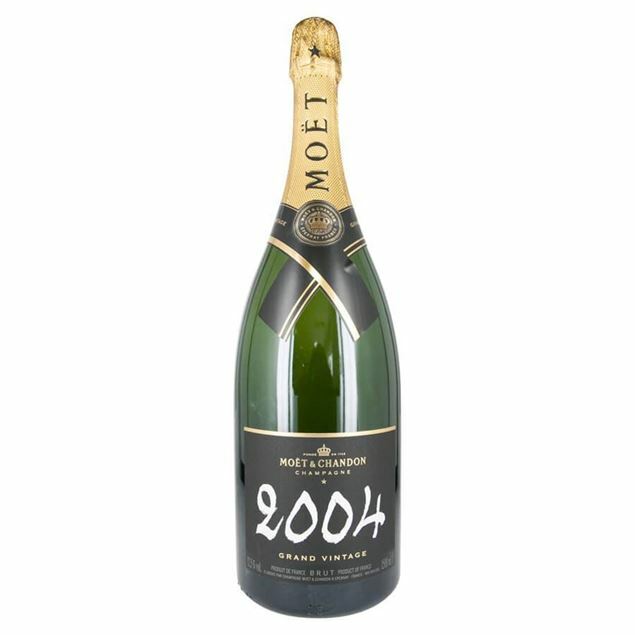 the aromas evolve gently in the glass evolving from dried fruits, fresh almonds and frangipane, to notes of tarte tatin, oven-baked apples and caramel. in tastings, the wine is soft and silky on the palate with a marvelous harmony of flavor and concentration of fruit. Extraordinary nose showing raspberries, wild strawberries and figs. the palate reflects the nose and adds ideas of red plum. 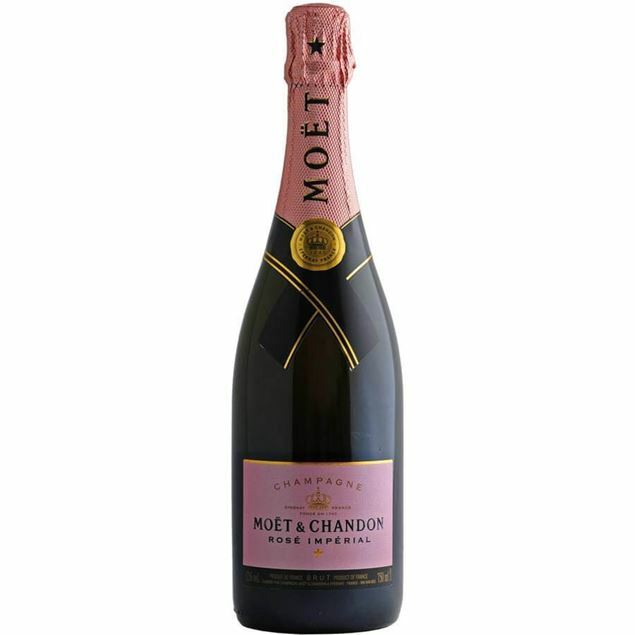 what makes this (perhaps) the rose champagne is an unbelievable silky elegance and a finish that seems to go on fore. The initialnotes of deep red fruits, strawberries, black cherries, blackberries, appear suddenly, irresistibly, testimony to the concentrated warmth of maturity. 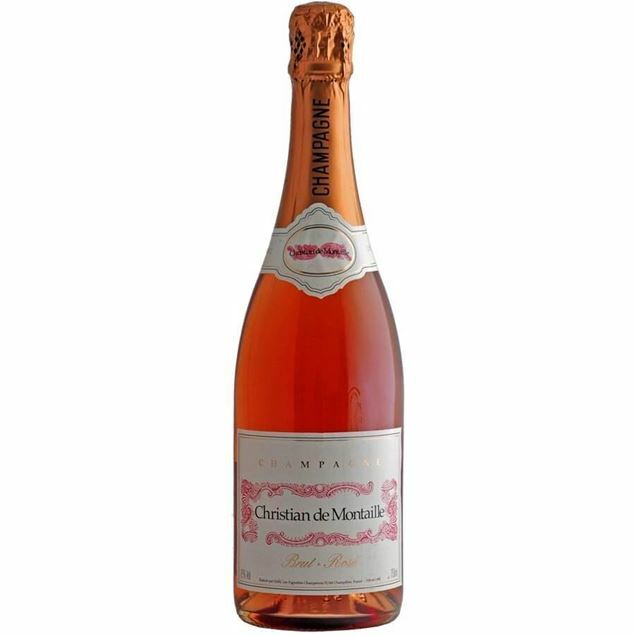 a maturity that is rich, expressive, first with the warm spiciness of nutmeg and leather, then becoming fresher with notes of pink grapefruit, blood orange and rosé. 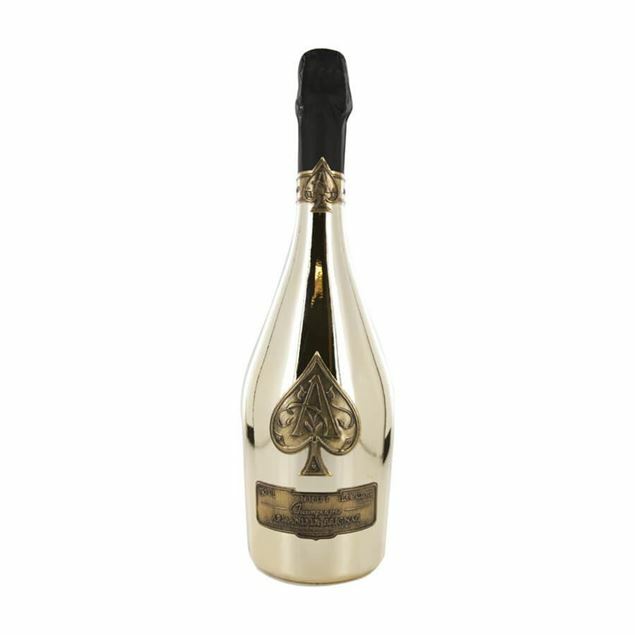 The first and only champagne especially created to be enjoyed over ice. 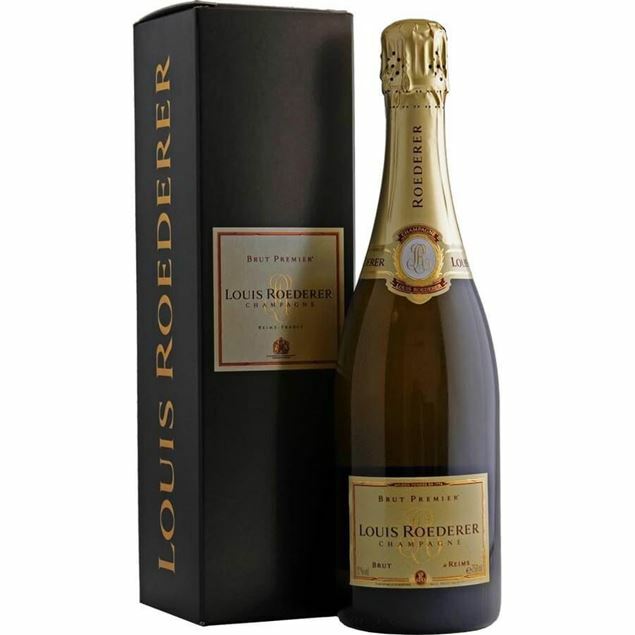 deep gold in the glass with amber highlights leading to an intense nose of tropical fruits and nectarines. a captivatingly sweet palate is balanced by delicate citrus acidity. a truly unique experience. Very fruity and appealing with red cherry and cranberry notes. Juicy and lively with good acidity. Nice pure red fruit character here. Fresh and vivid with a grapefruit freshness. 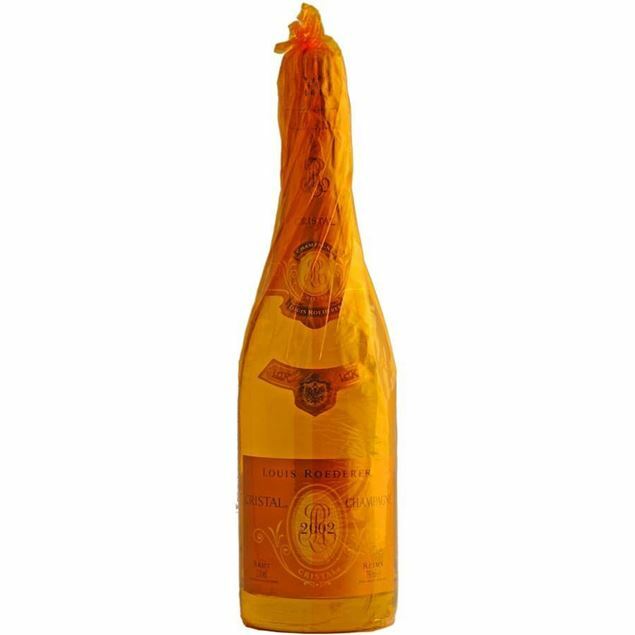 “the signature cuvée demands that its style, a subtle balance of freshness and intensity, be perpetuated”. 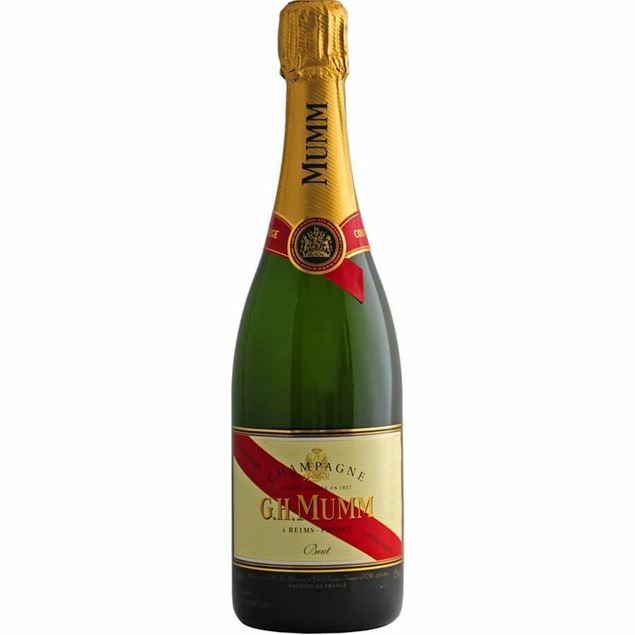 in keeping with the history of cordon rouge, the sabrage – a traditional ceremonial borrowed from napoleon’s armies, never fails to make a great impression, notably on special occasions.